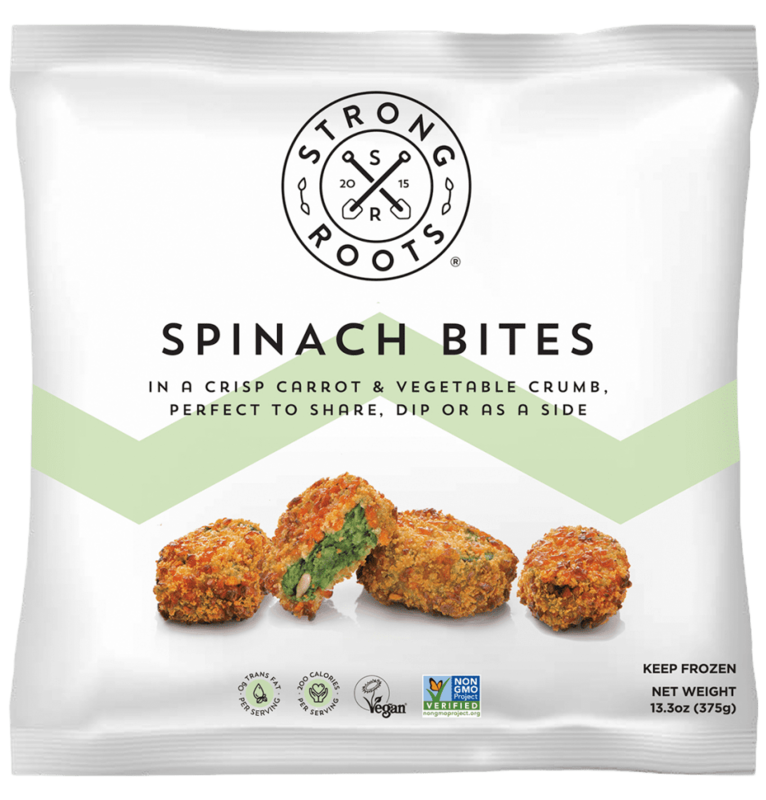 These bites are made of spinach, potato and a vegetable-based coating as opposed to breadcrumbs, which provides the perfect crunchy texture. Spinach Bites are perfect for guilt-free snacking, as a side dish or an interesting addition to a salad. 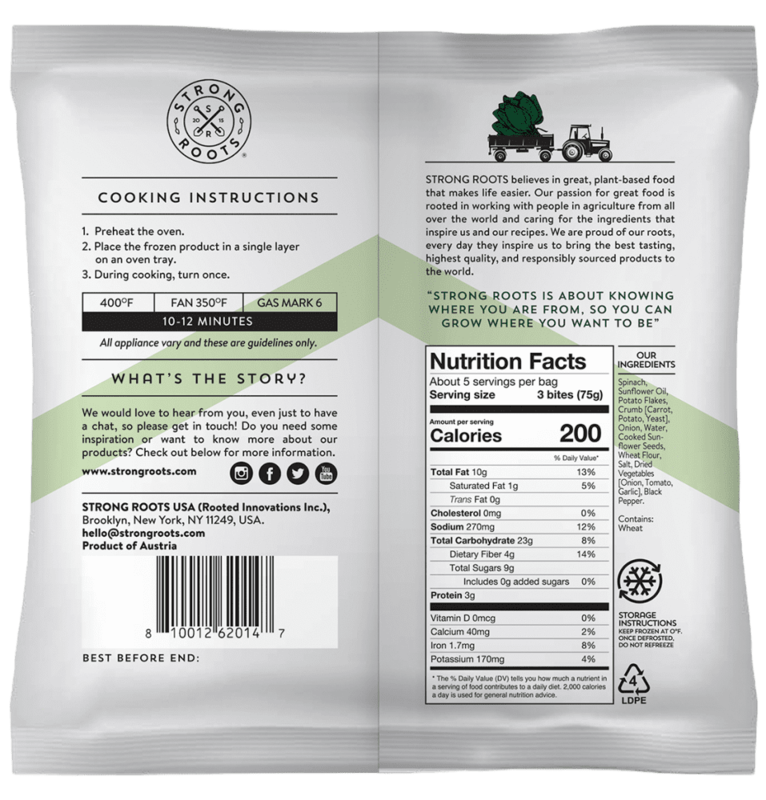 Spinach, Sunflower Oil, Potato Flakes, Crumb [Carrot, Potato, Yeast], Onion, Water, Cooked Sunflower Seeds, Wheat Flour, Salt, Dried Vegetables [Onion, Tomato, Garlic], Black Pepper.